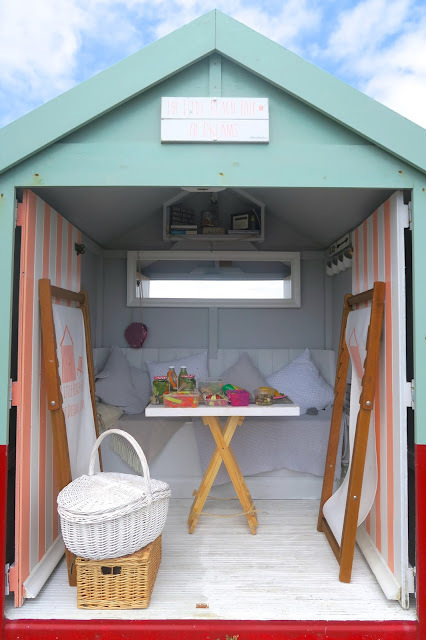 I was lucky enough to spend the day in the ‘Little Beach Hut Of Dreams‘ in Brighton last week, so I whipped up lots of delicious food in preparation and enjoyed them all tucked inside (it was a cloudy and windy day!). 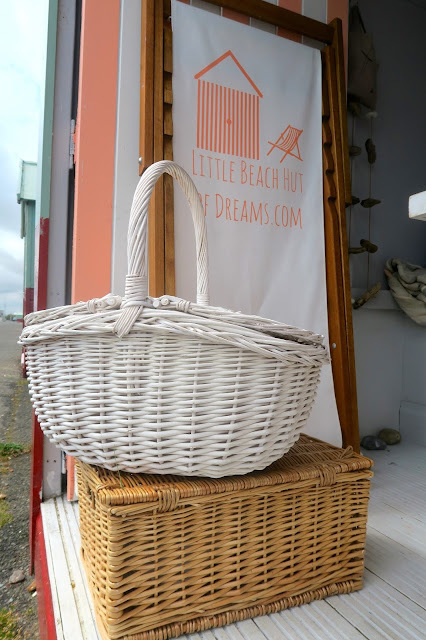 The beach hut is beautifully decorated in greys, whites and pale pinks with big fluffy cushions to help you get comfortable while you daydream the day away. It’s free to use but be prepared to be in a long queue waiting for your day here! Applications are open now for 2016 – apply here. 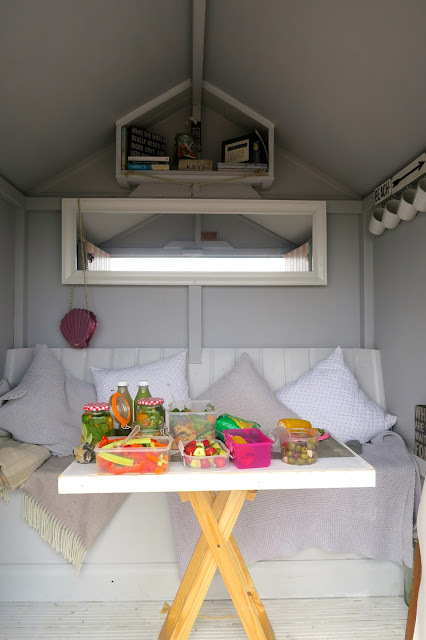 As it’s the height of Summer, I thought I’d create a few fresh and healthy recipes perfect for on-the-go to enjoy during picnics or a day at the beach. They’re all listed below, or you can watch my video at the bottom of this post. 1. 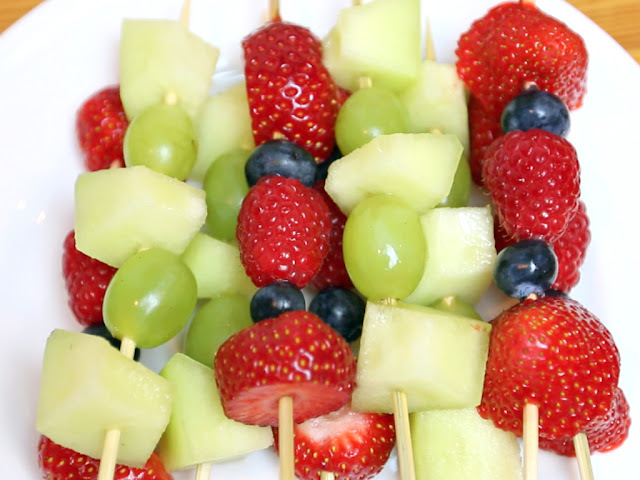 Chop the strawberries into chunks, and slide onto a skewer. Follow with a blueberry, then a raspberry and finish with another strawberry chunk. 2. Repeat with the melon and grapes. 1. 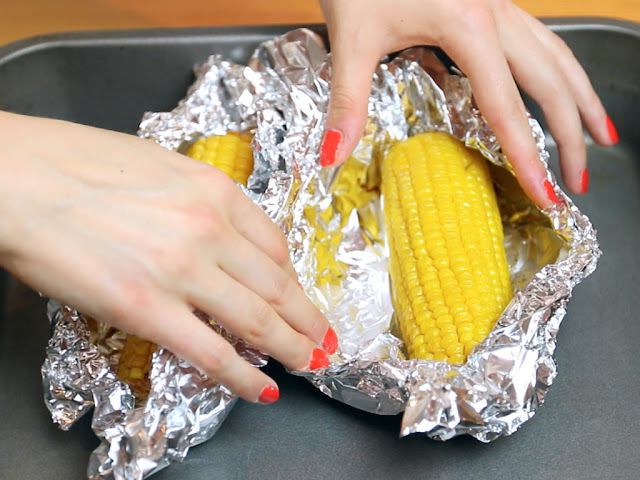 Wrap in tin foil and place in the oven. 2. Bake for 30-40 minutes. 1. 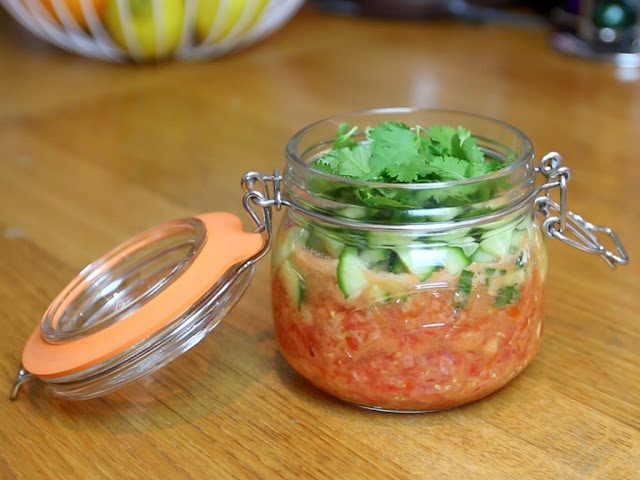 Place all of the ingredients into a food processor apart from the coriander and cucumber and pulse until the tomatoes and onions are chopped to the consistency that you would like the salsa. 2. If there is a lot of liquid from the tomatoes, spoon out the excess liquid. Transfer into a container with a lid. 3. Chop the cucumber into small chunks and pick a handful of coriander leaves and stir into the salsa. 4. 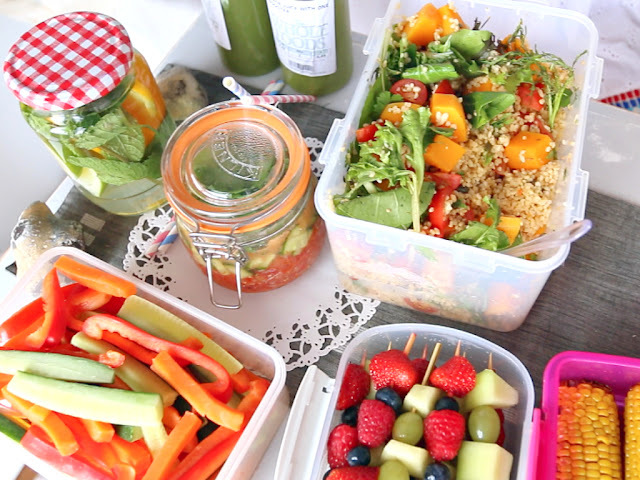 Store in the fridge for up to 3 days. 1. Peel the skin from the butternut squash and chop into about 1 inch thick chunks. Steam for about 20 minutes or until soft. 2. Cook the buckwheat according the the instructions and allow to cool. 3. 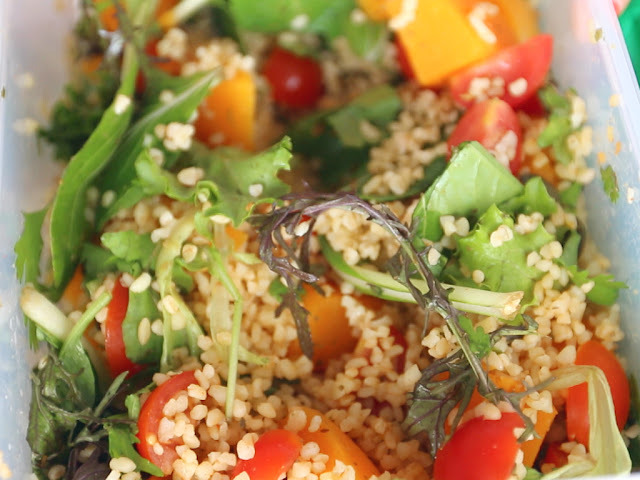 When the buckwheat and butternut squash are cool, transfer to a large bowl and stir in all the remaining ingredients. 1. Slice the orange and lime into slices and divide into 2 glasses. 2. 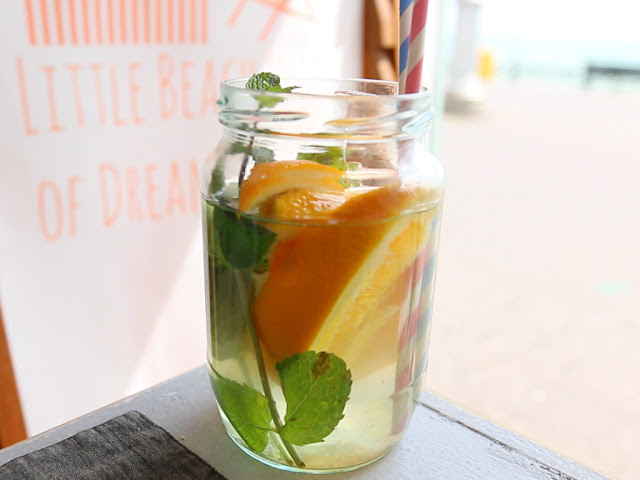 Add the fresh mint leaves to the glasses and top with water.